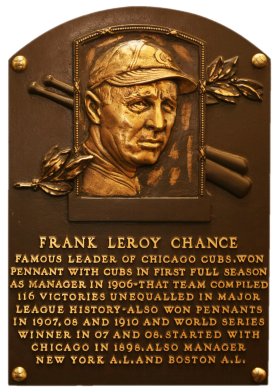 Anchor of the Cubs' "Tinker-to-Evers-to-Chance" double-play combo, Frank Chance helped Chicago win four pennants. 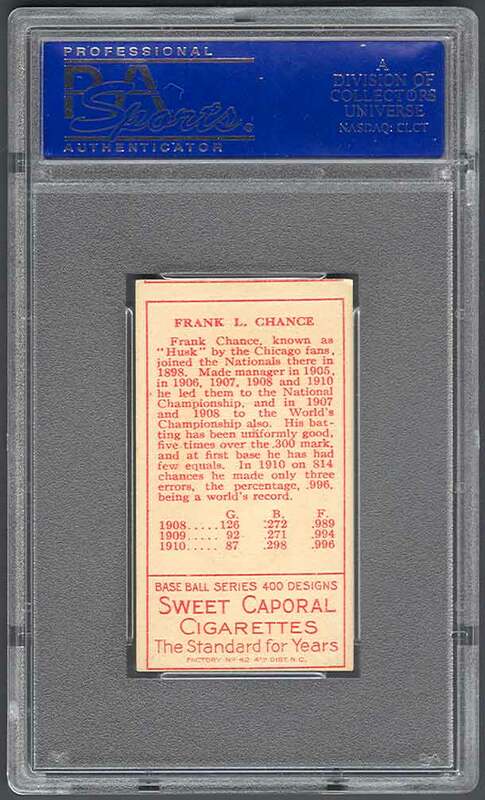 While he was hardly a dominant player, he nevertheless hit .296 during his career and hit .310 in Series play. Chance's career was cut short by repeated beanings, which eventually left him deaf in one ear. 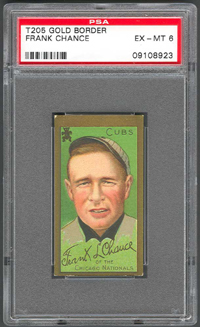 "The Peerless Leader" managed the Cubs for seven years and won at least 100 games four times. Comments: It's always been T205 for Chance. I picked up my first example in April, 2002. 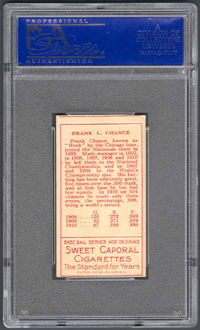 The following April, I won a SGC 60 card on eBay. In June, 2003 I purchased a PSA 5, with a different back, off the Larry's Vintage Baseball Cards (Laurance Mayer) website. I upgraded to this PSA 6 with another eBay win in November, 2006 from Steve Novella.